So, date night outfits are fun to chat about, but that's not really what I'm wearing in my day-to-day. Here is an example of an outfit I wore running errands and going out to lunch with my mom whenever she was in town. I love the ease of throwing on a one-and-done garment, and this lightweight black jumpsuit fits the bill for a busy mama. This is yet another investment piece, but I wear it on a weekly basis and it's SO comfy you feel like you're in your jammies (my kinda outfit). Just this week I've worn it twice already! I scored a pretty impressive deal during a Hatch end-of-season sale on sale when I bought this jumpsuit, and I want to take a moment to tell you that it's totally possible to have quality high-end items at a somewhat affordable price point. 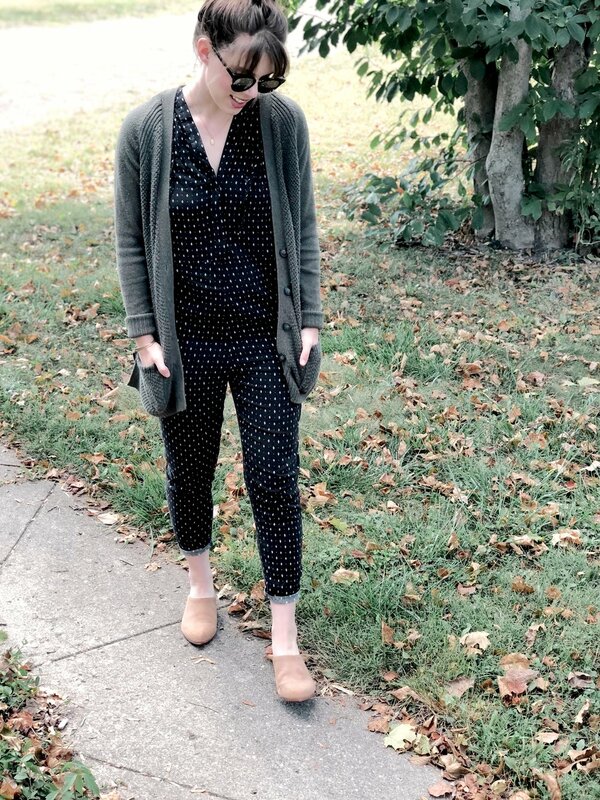 I've always wanted a black jumpsuit, but never could justify spending money on something that I would only wear a handful of times (it's super hard to find nursing friendly ones!). 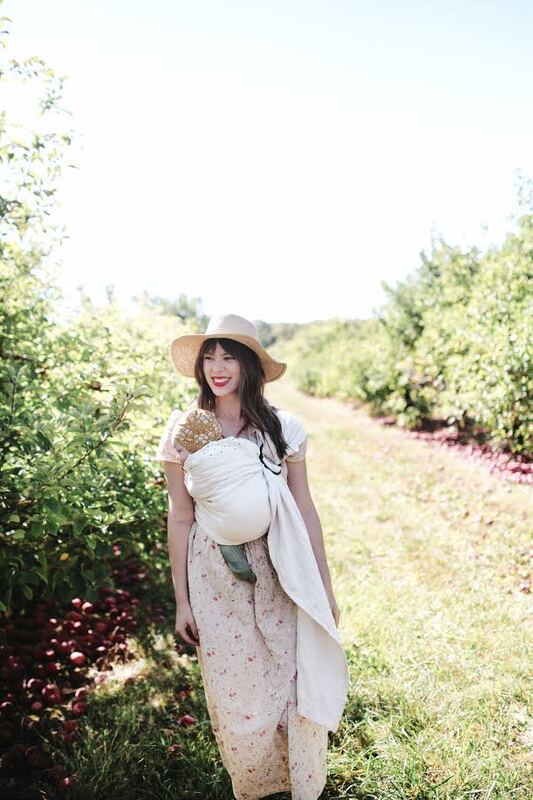 This jumpsuit is actually maternity (!!!!). I wore it up til my 9th month and it quickly became one of my favorite summer outfits. So, not only can I wear this particular jumpsuit pregnant, it's also a button down meaning I can nurse Eulalie in it quite easily. Plus the fabric is soft and breathable and the black color covers every stain imaginable. Win. I'm also surprised at how easy it is to transition from summer to fall. I traded my warm weather sandals for mules and threw on a chunky cardigan for some coziness. This is one of my favorite ways to style it, but I also can be seen throwing on a sweater or jean jacket and a scarf you've got the perfect fall look!